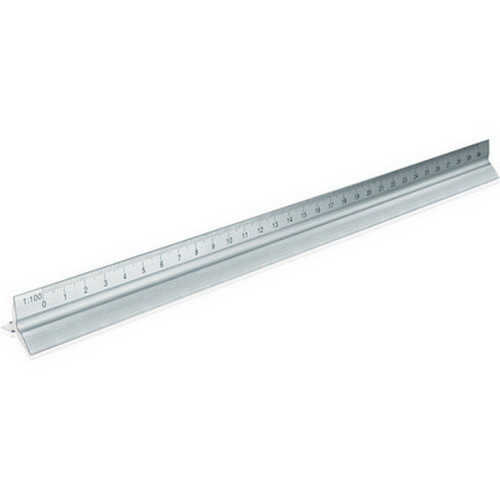 30cm aluminium scale ruler. Five different scales (1:20, 1:25, 1:50, 1:75, 1:100). Plain panel for branding. Boxed. Product Size: 320 x 25 x 25mm. Product Packing: Boxed. Decoration Size: 7.5 x 70mm. Decoration Position: Branding panel on face of ruler. Decoration Method: Pad Print | Laser Printing. Carton Quantities: 200. Carton Size: 50 x 35 x 23. Carton Weight: 22. Colour: Silver. Price includes : Pad Print 1 Colour / 1 Position. Setup is included.